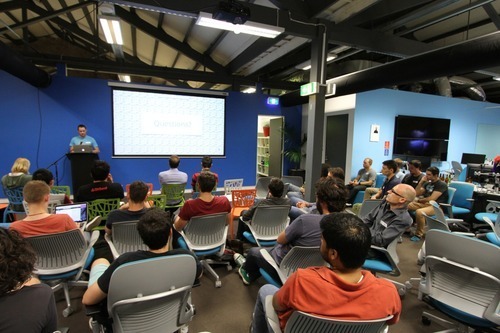 Last week we had the pleasure of hosting an Elasticsearch meetup at our Sydney office. Elasticsearch is a powerful open source search engine built on Lucene that provides scalable and high performance full text searching and analytics. We use Elasticsearch to power the search of all of our stores so when we were offered to host the event we jumped on the opportunity. 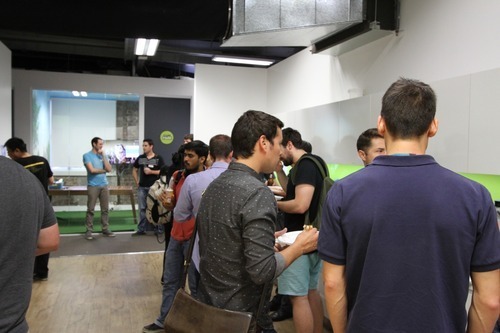 The meetup attracted interesting speakers and over 50 guests. The first speaker was Leslie Hawthorn, Director of Developer Relations for Elasticsearch Inc.
Leslie leads Elasticsearch’s community outreach efforts from their Amsterdam EU HQ. 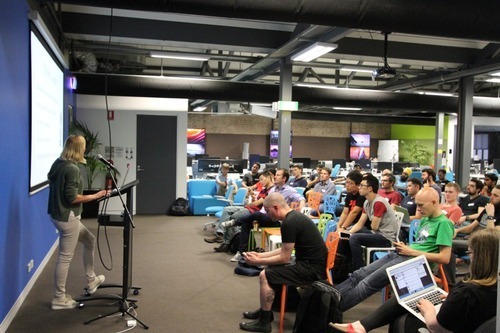 Her talk consisted of all matters related to the ELK stack (Elasticsearch, Logstash and Kibana) and its community. The second speaker was the CMO and community manager at Found, Cecilie Myhre. Cecile talked about Elasticsearch-as-a-Service and the hurdles of running Elasticsearch clusters. The third and fourth speakers were BC engineers: myself (Pav Zwierzynski) and Ray Ward. My talk was about why Bigcommerce switched from MySQL to Elasticsearch and the path that led us to a successful migration. Ray’s talk covered managing relational data and aggregations and how they can be leveraged to create faceted search. Keep an eye on more meetups hosted by Bigcommerce and drop us a line if you want to find out more about engineering at BC. This week, we’re hosting Douglas Crockford, the creator of JSON, at our San Francisco Office. PS. Ray and I will be writing blog posts about our talks so make sure to check back in a little while!